From holidays to after-hours, we can pick up the calls that your company cannot get to. Our agents are highly trained professionals who specialize in becoming an extension of your team. We take pride in the services we offer, and we work with each of our clients to ensure that every program is customized to fit their needs. Whether you are a small alarm dealer or a Fortune 500 company, our goal is to become an extension of your team and to develop long term relationships that meet or exceeds your needs and expectations year after year. When you think of an answering service, you most likely think of call center agents sitting in an office answering phone calls for a company. 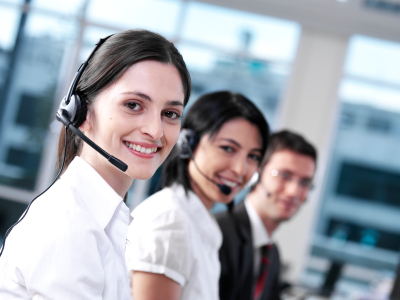 At TMS Total Monitoring Services, we are much more than a simple answering service. We offer a wide range of specialized telephony services, including the telephone answering, emailing, and even paging! There’s no need to hire a receptionist when we can do all the same duties, plus more. Our professionally trained employees set the bar high! Minimize staffing requirements by adopting our virtual receptionist service that is capable of performing many tasks specialized for your company. You can count on us to answer your calls, whether your call volume is high or low.